Modern Times Group (MTG) has completed the sale of its 95% majority stake in Nova Broadcasting Group in Bulgaria to local buyer Advance Media Group. The all-cash transaction game Nova an enterprise value of €185 million. 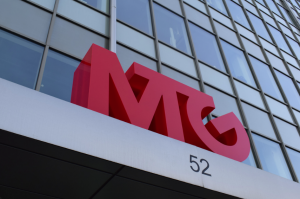 MTG said it will use the proceeds of the sale to further develop its global digital entertainment business through organic investments and acquisitions. Nova is Bulgaria’s largest commercial media group and comprises seven TV channels, as well as complementary online businesses that reach on average 74% of the Bulgarian population every month. According to MTG, the broadcaster generated SEK1,154 million (€110 million) of sales and SEK223 million of operating income (EBIT) for the full year 2018. Completion of the sale follows regulatory approval in March. Advance Media Group is a subsidiary of Advance Properties OOD, a Bulgaria-based business that owns 117 companies across 23 countries. Its portfolio of businesses operate in more than 10 industries including pharmaceuticals, shipping, port operation, real estate and power generation. The agreement came after an earlier sale to PPF Group was blocked by Bulgaria’s competition regulator.